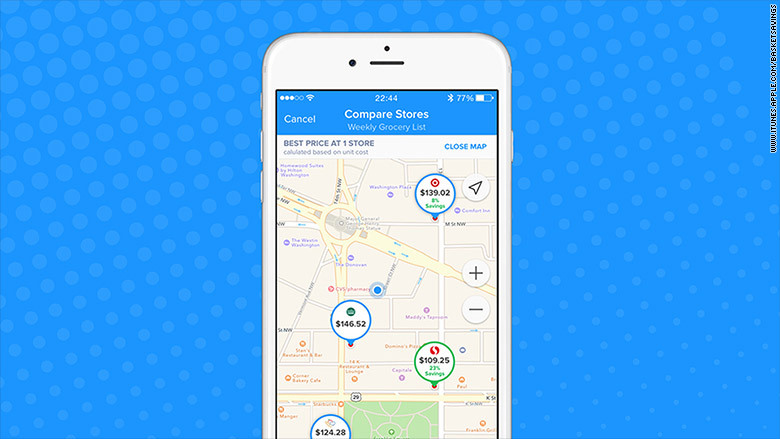 According to cofounder Andy Ellwood, who was an early employee at Waze, one Basket customer saved $75 by driving less than two miles away to a different store to make the same purchases. The concept stemmed from cofounder Neil Kataria who was using online services like Diapers.com and Amazon to shop for necessities. He was unsure how the prices compared to what he'd pay in Washington D.C.-area shops, and the only way to find out was to go from store to store. Kataria and Ellwood joined forces to solve this problem. The two set up a grocery game app called StockUp that operated for two years, all with the intention of one day turning it into what is now Basket. With StockUp, people -- like Susan Forte of Raleigh, North Carolina -- would drop into local stores and take pictures of products in exchange for earning points and cash. For every 1,000 points she earned, she'd pocket $1. 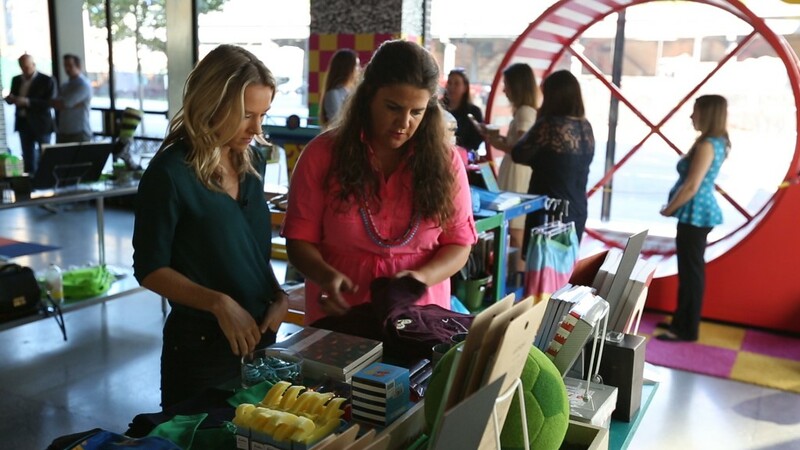 More than 30,000 shoppers were playing the game, Ellwood told CNNMoney, and the app was partnering with brands to incentivize people to pick up and discover products by tasking them to take photos of them. Those pictures helped Kataria and Ellwood peek into local stores and get more than 900,000 unique SKUs that now serve as the main database behind Basket. Instead of a game, Basket is more of a utility tool. Anyone can enter a grocery shopping list into the app, which is free to download and available on Android and iOS. Basket will calculate which local store offers the most savings for that particular excursion. The company continues to rely original StockUp power shoppers like Forte to act as commerce moderators. While she is an accounting professional by day, she spends several hours each week contributing more SKUs to Basket's database and gets paid to do so. The company uses a machine learning algorithm to predict when prices change based on categories, said Ellwood, and confirms accuracy with its 5,000 moderators like Forte. "I'll go to four different Food Lions a week," said Forte, a 47-year-old mom of three, noting that she gets paid about $120 a week to do so. Basket tasks contractors like Forte with "challenge" items it wants information about. "This is an extra little income that I love." The idea of crowdsourcing data is one that other entrepreneurs have applied to other offline markets, from the auto industry (TrueCar) to homebuying (Zillow and Trulia). It's an alternative to the on-demand craze, but features a model that's difficult to sustain. Recent examples include food delivery startup SpoonRocket, which closed down in March 2016 after three years of operation and raising more than $13.5 million. In August, laundry firm Washio shuttered -- also after three years in business. It raised more than $16 million in funding. Eric Schmidt, executive chairman at Alphabet, believes crowd-driven data services will only get bigger. At a Startup Grind London Event in June, Schmidt said that the next companies worth $100 billion will be those that leverage data and information from the crowds.